EA Sports will be rolling out their latest edition of the popular Madden NFL video game this summer, Madden 25. Voting for the cover athlete is being held at ESPN.com/SportsNation. In the voting, former players face off against current stars in a six-round vote-off. Two Denver Broncos, former running back Terrell Davis and outside linebacker Von Miller, advanced to the Second Round last week. 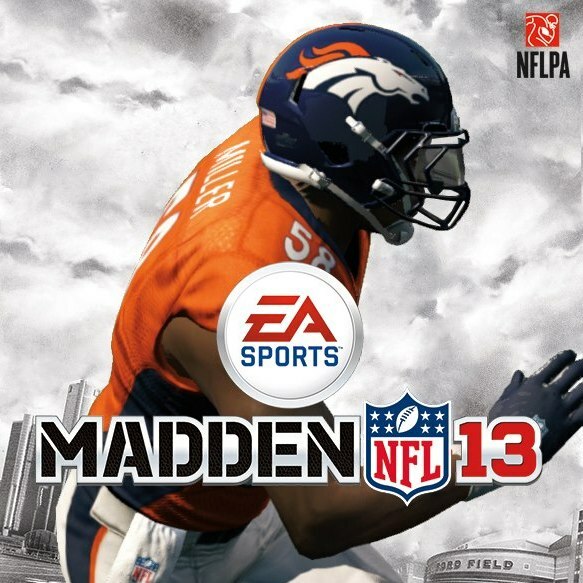 But there will be no Madden Curse related to the Broncos this year—neither Davis or Miller advanced to the Third Round. Former cornerback Deion Sanders was matched up against Davis, blowing past TD with 81% of the vote. Miller lost to Seattle Seahawks quarterback Russell Wilson, 63%-to-37%. Madden 25 is expected to hit stores this August.